Rotary brushes, wound brushes, cylindrical brushes, spiral brushes, and coil brushes... all names for brushes that are manufactured in a cylinder shape. These brushes are commonly motorized and do their brushing while spinning. The ideal method of construction will depend on the operating RPM, the quantity of brushes required, and the specifications of brush. Metal Channel brushes can be formed into cylindrical shapes. They are also the most economical due to minimal set-up time and the flexibility that we have designed into our custom machinery. These brushes are basically straight metal channel brushes that are wound around a mandrel to form this cylindrical shape. The sizes range from about .75” diameter up to about 12” in diameter. 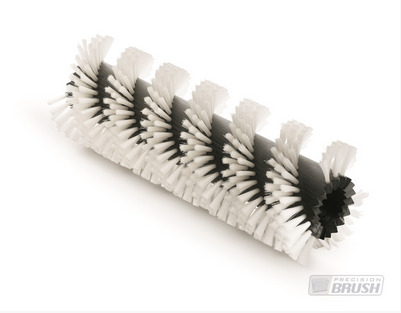 Metal Channel Cylinder brushes are used in thousands of applications ranging from food processing and conveyor cleaning to vacuum and car wash brushes. They easily mount onto shafts and can be made with a very dense brush filling or spiral shape for directionally moving product or for light brushing applications. There is also an opportunity to wind the brush with the metal on the outside and the filaments pointing towards the center. The brushing happens on the inside of this style brush and is commonly used to clean shafts or wipe a product as it moves through the brush. 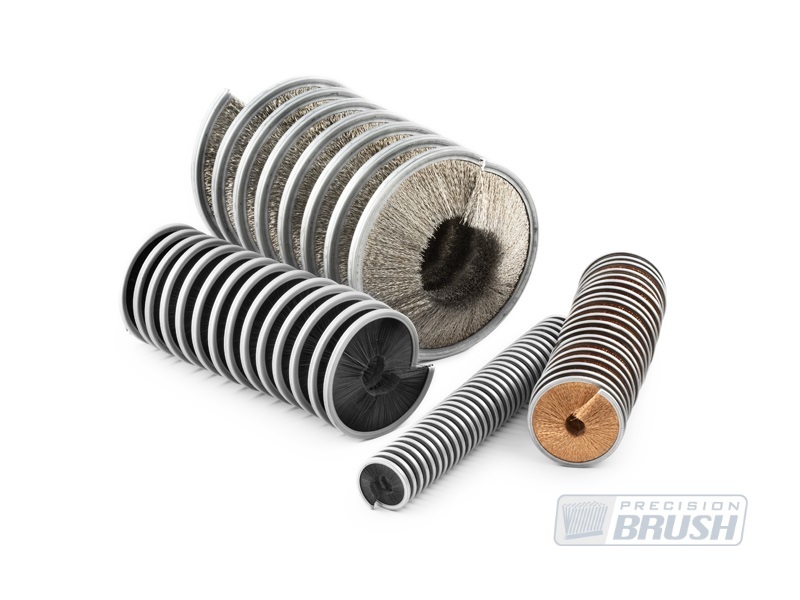 These inside coils are also used to hold products or slow the movement of an object as it passes through the brush. Staple Set Cylinders require a core that many times is custom machined for a specific brush application or mounting. The core has holes drilled into it and then filaments are stapled into these holes. The machinery used to make this type of brush takes a considerable amount of time to set up, but once the initial design and tooling are made then these types of brushes can become more economical for certain applications. The pattern of the brush can be custom designed which means there are extensive options for filament patterns and brush density. 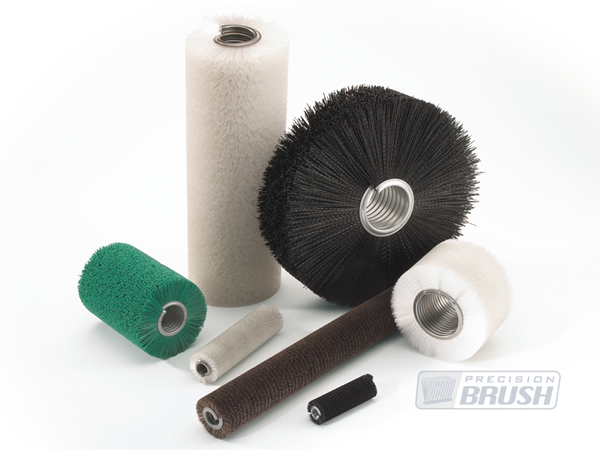 Epoxy Wound brushes are also made into cylinder shapes and are the best choice when higher RPMs or balancing is required. The shaft can be custom made or supplied to us. The filaments are wound directly onto the shaft and held with epoxy which is then cured. The brushes can be removed and shafts can be rewound many times.